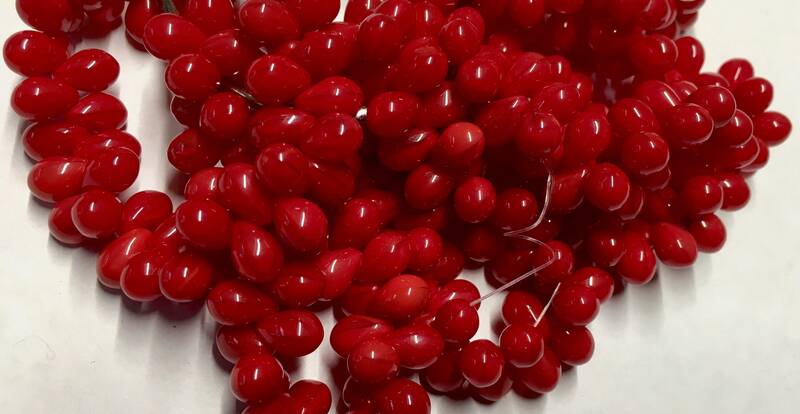 50 teardrop beads, scarlet red opaque. 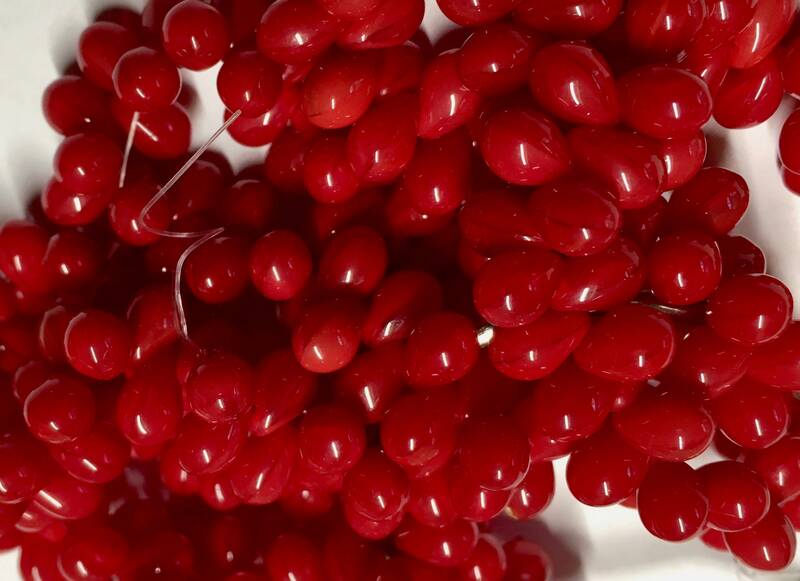 Beads are top drilled and measure 5mm x 7mm. 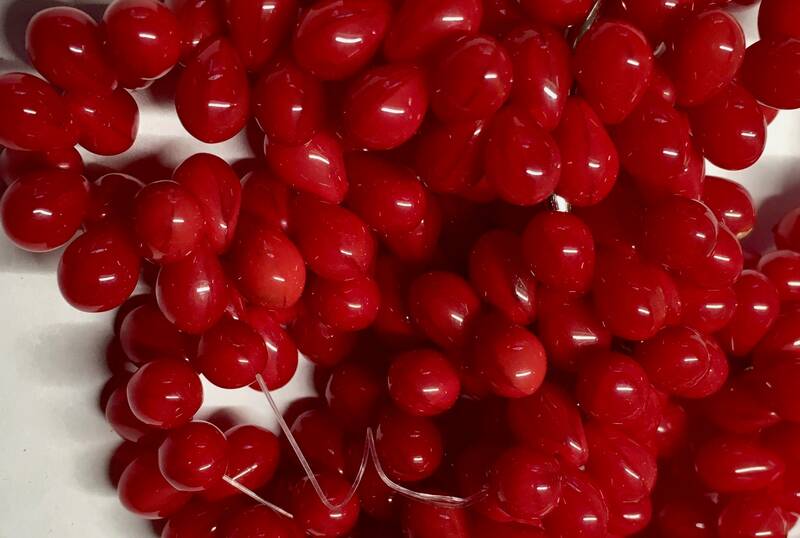 Exactly the shade of red that I needed! Thank you!